It has been a roller coaster of a summer. I am nearing the end of a 500km move and am looking forward to having a kitchen once again. All my measuring utensils and baking tools are packed away but in a need to get this post up I am……winging it. Besides. 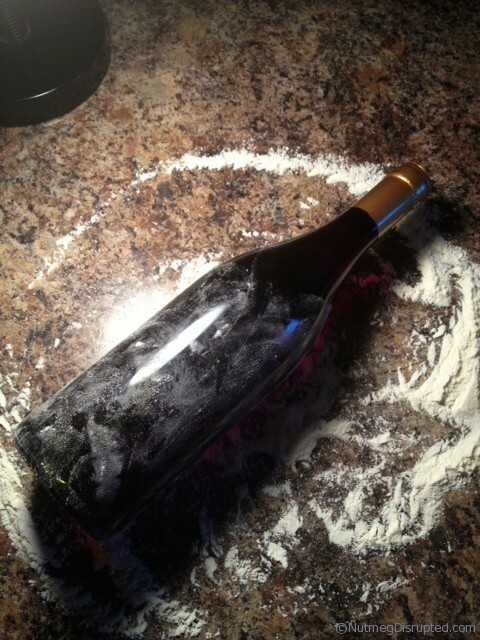 who needs a rolling pin when you have wine! We are at month 4 with The Canadian Food Experience Project. For September we are sharing our Cherished Canadian Recipes. The recipe I am featuring as my cherished Canadian recipe is also one of my very first authentic Canadian Food Memories. 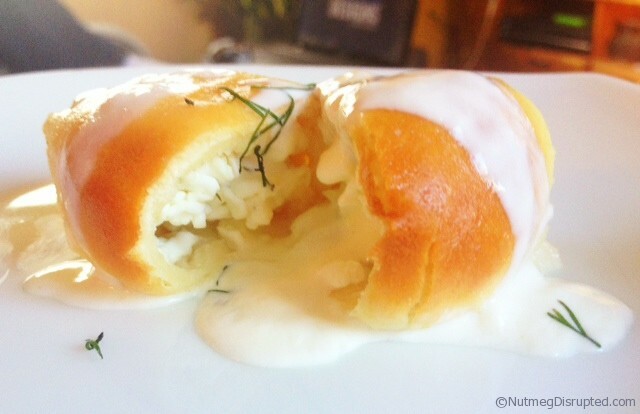 Perishke is still one of my most enjoyed Ukrainian dishes I prepare. Perhaps because they do bring back such strong memories of when I was a child and first discovered them. They were the catalyst of what made me want to learn how to cook. They are easy to make and freeze well so you can always have some at the ready. 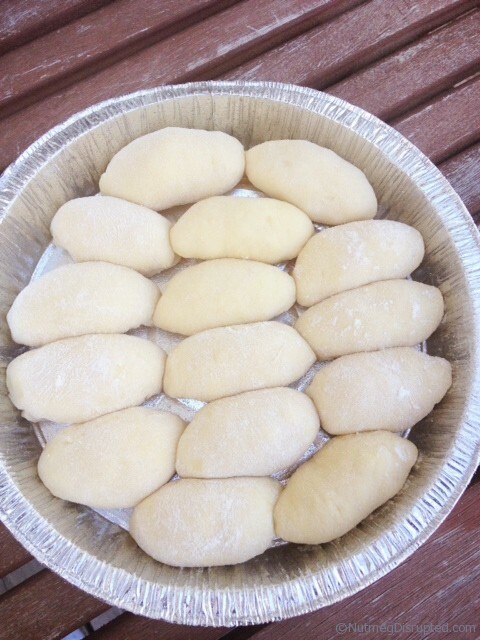 Combine the dough and let stand for 15 minutes. Stir the filling ingredients well to combine. 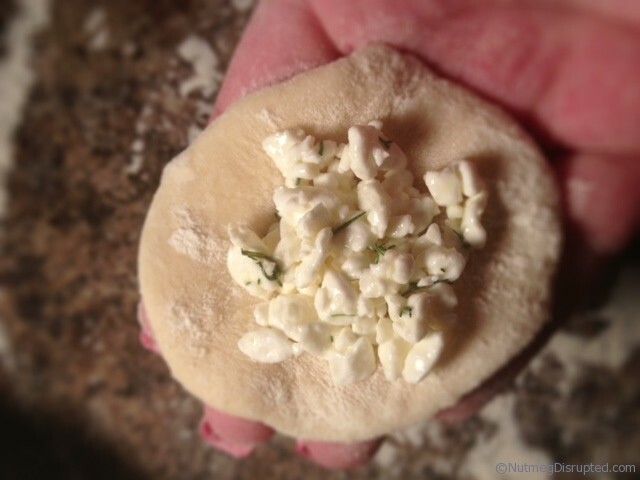 Pinch off a walnut sized piece of dough and using a rolling pin roll out a nice small 1½ inch circle. Fill with a tablespoon of filling. Bring the edges together and pinch to seal creating a tiny bun. Place into a lightly buttered pan, sealed edge down. Have the oven preheated to 350 degrees. Once the pan is full of Perishke bake immediately until golden brown, about 23 - 25 minutes. Brush with melted butter and cool. 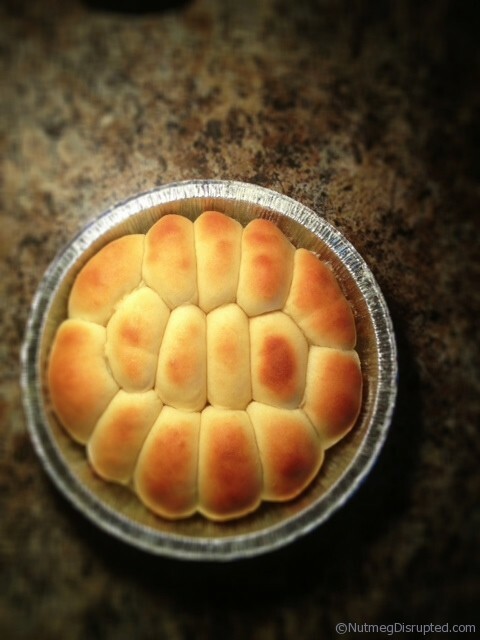 The idea is too work quickly as you do not want the buns to rise. Repeat until all your dough is used. Once the Perishke are baked they can be frozen or eaten. I like to remove them from the container to cool then, this prevents the bottoms from becoming soggy. I place them back into the tins to freeze. 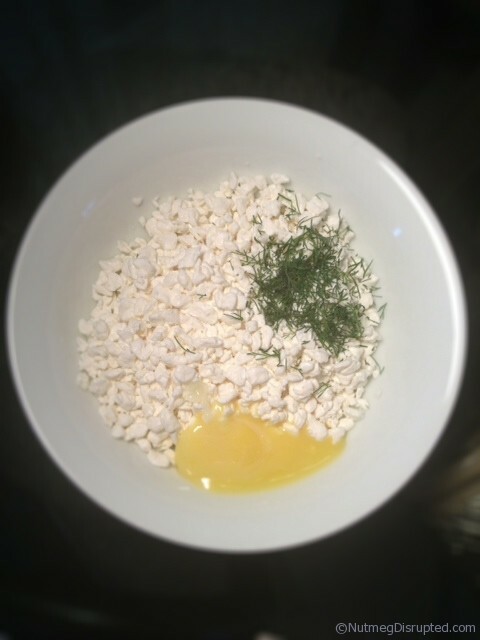 To finish the Perishky toss with whipping cream and fresh chopped dill and heat in the oven for 15 minutes. That you for the hugs and the advice! Both were appreciated! It has been a character building year to say the least. Like I said, I will not be looking back at 2013 fondly. Things can only go up from here! Let me know how you enjoy the Perishke! We need to talk! What is happening with your life – a 500K move, then back in Barrhead? What is up… I cannot imagine the stress. AND can you feel my hug? I have been looking for a good recipe for these for YEARS. Not one site I could find had a recipe that looked anything like these and I have wanted to make my own FOREVER. I cannot wait to make them… my list is long, since I am also not in my kitchen while dad is in the hospital… but will definitely make a batch of these babied – soon, I hope! Cannot wait. Thank you SO much, amid the “stuff happening” to get the challenge done, too. It means a lot. They are fabulous little buns Bridget! They are as good as they look.